Lameness is one of the main conditions affecting cattle and is considered a major welfare problem with significant impact on animal productivity. This well-established practical book explores the issue of lameness in detail and provides a fundamental guide to prevention and hoof care. In particular, it covers the incidence and costs of lameness, the structure of foot, foot structure and function, causes of inflammation, hoof trimming, and the treatment of common diseases. 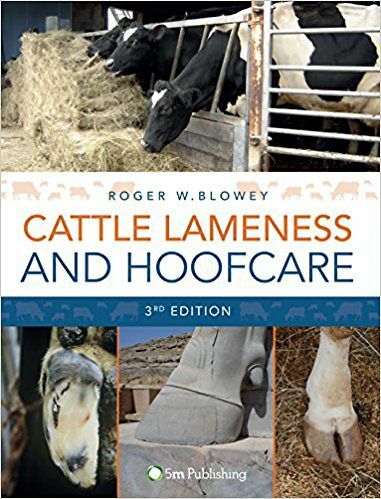 Authored by one of the field's research leaders, the 3rd edition includes updates on hoof trimming protocols, new insights on the structure and function of the digital cushion, and an examination of diseases such as digital dermatitis and sole ulceration. 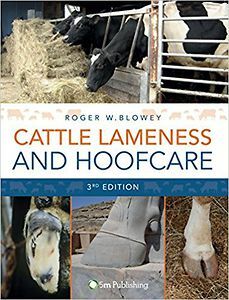 Expert practitioners as well as students will benefit from this new edition of Cattle Lameness and Hoofcare, being an ideal resource for cattle farmers, hoof trimmers and vets. Roger W. Blowey BSc, BVSc, FRCVS, FRAgS, Specialist in cattle Health and Production (Dairy), is known as one of the world's leading veterinary practitioners, operating in the field of Lameness. Author of a range of scientific papers and textbooks, including A Veterinary Book for Dairy Farmers, Roger's work is mainly associated with fertility, mastitis and lameness control programmes in dairy herds.